Ellerbeck Masquerade at around one year old. She is such a lovely filly, i would have loved to have kept her! From the look of that feather, the fields in Devon are much drier than the ones in Cumbria. Ellerbeck Parade having just been backed aged three. She is just a few minutes drive away so i can see her whenever i want to. Surprise surprise, you see we have all sorts of horses here!!!! This is Ellerbeck Brazil a gorgeous Thoroughbred-cross-cob, chestnut mare. The big bay is Ellerbeck Mulberry, a gelding, who is out of Ellerbeck Mystery and by a nice Dutch Warmblood called Samona (who is by the famous Samber). Finally we have Ellerbeck Aztec who is by a very well bred Thoroughbred out of our old foundation pony mare Ellerbeck Swallow (who is also grandmother of Mulberry). 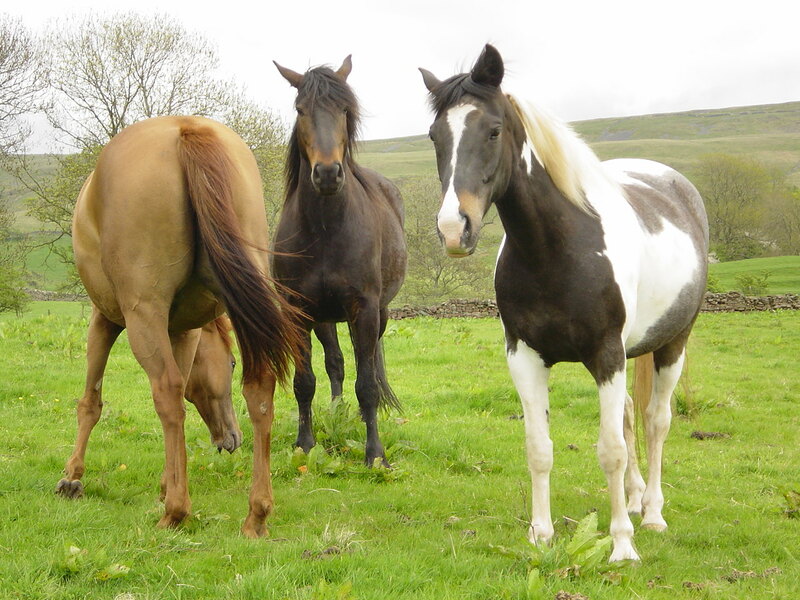 This is the bunch we ride at present though Freedom will be backed soon and will also be expected to do some work. I like riding them all but without a doubt my favourite is Aztec. Brazil should really be sold but I have never got organised doing that, she is a nice mare and deserves a great home so one day no doubt, somebody will come along who is perfect for her. Brazil and Mulberry have now moved on, ideally so should Aztec but it would need to be a very special home. Ok Fabian could be cleaner but considering the weather it is a wonder he isn't dirtier!. Here he is in December, still with mum and so fat and cuddly. He is now weaned and has surprised me by how fast he learns, he is really keen to please and will make a fabulous riding horse. I would really love to find a long term loving home for this guy, he really is the nicest chap. Ellerbeck Admiral now fondly known as Khan (short for carnage). He is a great soppy toddler, just eighteen months old here and into everything he can get at . 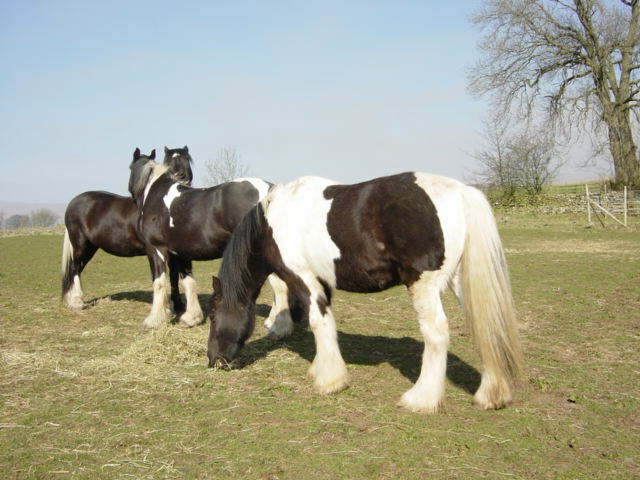 He is on track to make about 14.3hh and is very broad and powerful but equally is well behaved and friendly, very likeable actually and everyone who meets him develops a soft spot for him. Khan is now settled in his new home and i hope he will be part of his new family for many years.